Goody's Headache Relief Shot and Dale Earnhardt Jr. are searching the “Fastest Fan!” Whether tying shoes, solving a crossword puzzle or running errands, one person who brings the most creativity and speed to life on video will win the ultimate tailgate weekend at next year’s Goody’s Relief Shot 500, complete with access to a luxury RV, VIP race tickets and a hangout session with Junior himself. For a man who clocks in at speeds over 150 mph, the benchmark is pretty fast. NASCAR Race Mom would love to win this competition! Goody’s®, the brand known for its fast-acting headache relief, and Dale Earnhardt Jr., the driver known for his speed on and off the NASCAR track, are joining forces for a nationwide search to find Dale Jr.’s fastest fan. The Goody’s Headache Relief Shot Fastest Fan Challenge kicked off at Martinsville Speedway, where Goody’s and Dale Jr. unveiled a new video to inspire fans to create their own videos depicting their speediest moments. The new video features Dale Jr. speeding through his day, making fast work of everything from solving a Rubik’s cube, to commuting to work, to dressing up for a big night out. It premiered during pre-race ceremonies at the Goody’s Headache Relief Shot 500 and on the national broadcast of the race on ESPN. “We are partnering with Dale Jr. on the Goody's Headache Relief Shot Fastest Fan Challenge to show everyone how quickly the new Headache Relief Shot works, and to really bring the speed of Goody's fast-acting relief to life," said Joseph Juliano, brand director, Goody's. "With its innovative single-dose format, the Goody’s Headache Relief Shot is unlike anything else on the market, and like Dale Jr., it’s all about speed." Beginning today, fans can enter the Fastest Fan Challenge by uploading an original video that captures high-speed action to their own profiles on Facebook, Twitter or Instagram. To be eligible, each post must include the hashtag #FastestFan. All entries must be posted by 11:59 p.m. Eastern Time on December 1, 2013 to be considered. After five finalists are selected, fans will cast their votes for the winner on the Goody’s Facebook page. 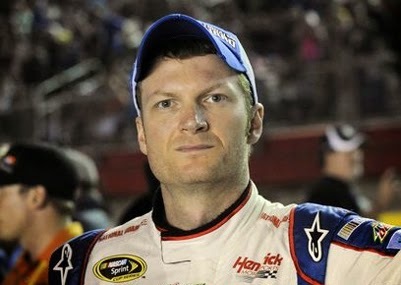 For complete rules and information on how to enter the contest, and to watch the Dale Jr. video, visit the Goody’s Headache Relief Shot Facebook page at facebook.com/GoodysHeadacheReliefShot. Video entries will be judged on their creativity, and of course, speed. The grand prize winner will receive an ultimate NASCAR tailgate weekend hosted by Goody’s and Dale Jr., including: a race weekend RV for him or herself and three friends, travel to and from the Goody’s Headache Relief Shot 500 in Martinsville, Virginia, tickets to the race (including VIP access to the garage and pit areas), $1,000 in spending money, and a personal meeting with Dale Earnhardt Jr.
NASCAR Race Mom's a Winner!